I’m so ready for the official start of summer. I love the longer days and ease of the season. One of my favorite things to do in the summertime is sit outdoors and drink a pale ale, a pilsner, or a cider — something light and sessionable. 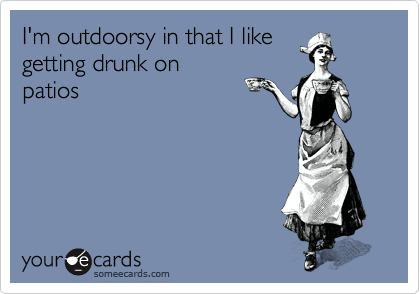 However, I also especially enjoy cocktails in the summer. (This is pretty much my mantra.) Margaritas and Moscow mules are my favorite. So today, I bring you some summery drinks that combine both beer and hard alcohol. I think even those who proclaim they aren’t “beer people” may find some of these pretty tasty! Note: the recipes below have a range of serving sizes. You may need to keep your calculator handy if you plan on making them just for yourself. Combine all ingredients and stir. Pour into glasses filled with ice. Combine all ingredients in a glass filled with ice and stir. Garnish with a lime wedge. If making ahead of time for a party, mix together the fresh orange juice, water, sugar and vodka, and keep it cold in the refrigerator. Add the beer and garnishes when served.